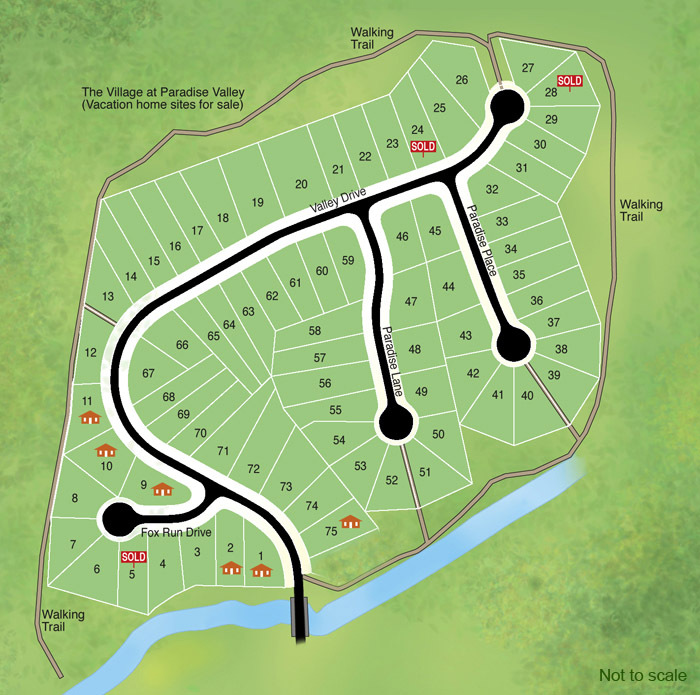 The Village at Paradise Valley is a 75 lot subdivision located within the Paradise Valley Community in Dawsonville Georgia. We offer ready to build on lots and homes ready to move into. Buildable lots are offered for $62,900, $65,900 and $69,900. 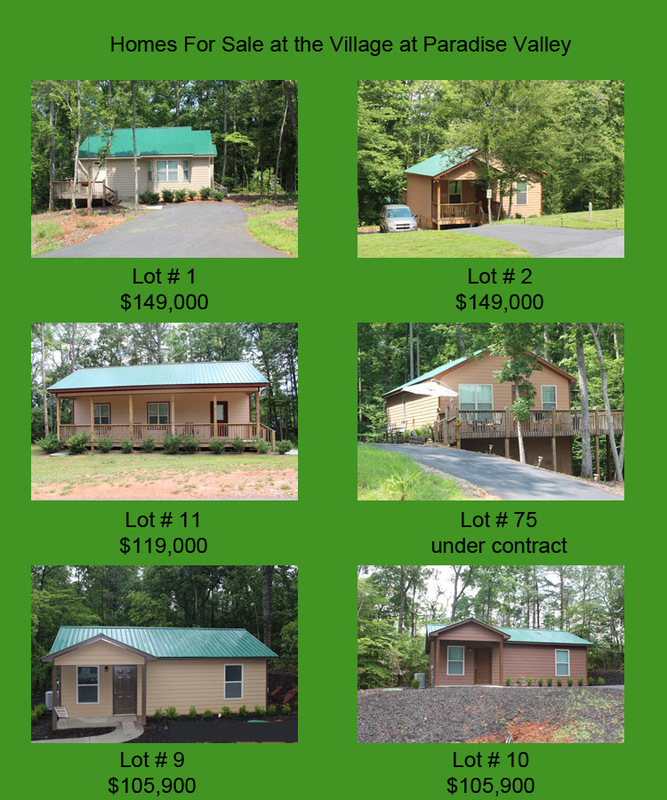 Currently there are 6 homes constructed in the subdivision and several more planned for fall of 2013. Paradise Valley Resort is a clothing optional community located on 100 wooded acres in Dawson County Georgia, less than 2 miles off Georgia 400. The resort is approximately 1 hour north of Atlanta Georgia. Dawsonville offers many natural recreational areas including Lake Lanier, Amicolola Falls State Park and the Premium Outlet Mall just a few miles from the resort. Looking for a 2nd home, cabin or primary residence at Paradise Valley. We have approved builders waiting to work with you. 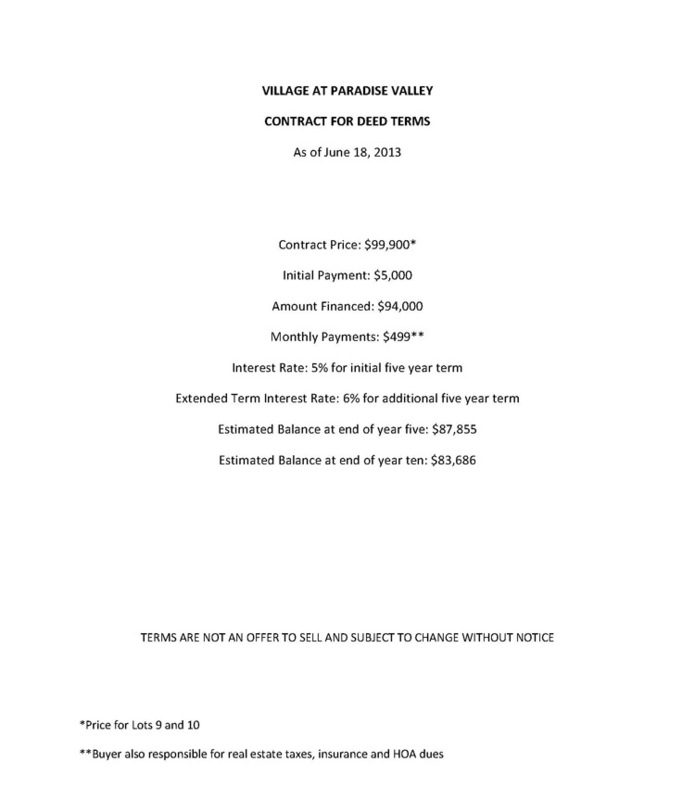 We are now offering financing on the homes and lots. Please call Jeff @ 706-265-6110 or stop by the office.